Best Android Lookout : HTC One X+ releases with Jelly bean 4.1.1 out of the box ! HTC One X+ releases with Jelly bean 4.1.1 out of the box ! HTC One X+ as the name goes was released as an upgrade to the HTC ONE X after it was not good enough to take on the likes of Samsung Galaxy S III. Visibly both the phones look the same and have the same display screen of 4.7 inches but some significant necessary features have been added to this phone, for you to call it a complete high end phone. Jelly bean 4.1.1 Android OS out of the box upgradable to Jelly bean 4.2. 4G Network (LTE 700 MHz Class 17/1700/2100 - for AT & T ). Corning Gorilla Glass 2 ( 20 % thinner for better touch responsiveness). New HTC Sense UI v4+ ( A new user interface for a new phone ). 64 GB Internal storage (One X has only 32 GB). 1.6 mp secondary camera (One X has 1.3 mp). New Nvidia Tegra 3 SoC with Cortex A9 Quad core 1.7 GHz Cpu (One X has 1.5 GHz). Better battery, Li-Ion 2100 mAh (One X has 1800 mAh). 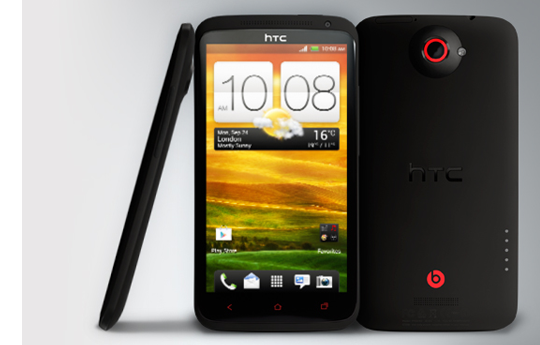 The HTC One X+ still retains the same looks as the One X, the 4.7 inch display which is a Super LCD2 capacitive touchscreen, size 720 x 1280 pixels, with 312 ppi pixel density is left untouched. One X+ better touch responsiveness than the earlier one used in One X. The Samsung Galaxy S III will have some good competition from the HTC One X+. The HTC One X+ is available in India at a price of Rs. 40,190. In the US, AT & T offer the HTC One X+ for $199.99 along with a two year contract with the carrier. Unlocked HTC One X+ to cost $763 US dollars or £474 in the UK.